A male belted kingfisher perches on a snag as it watches for fish in Long Lake on a rainy winter afternoon. Many of the snags near the road have fallen over, taking many good viewing opportunities with them. 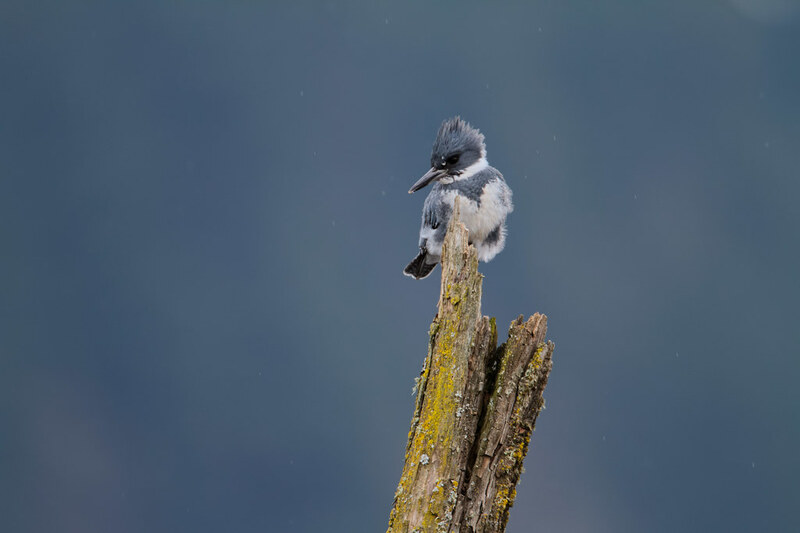 This entry was posted in Birds and tagged auto tour, belted kingfisher, Long Lake, rain, Ridgefield National Wildlife Refuge, River S Unit, Washington. Bookmark the permalink.